FUSION TERRAIN PARK TEAM ANNOUNCED! 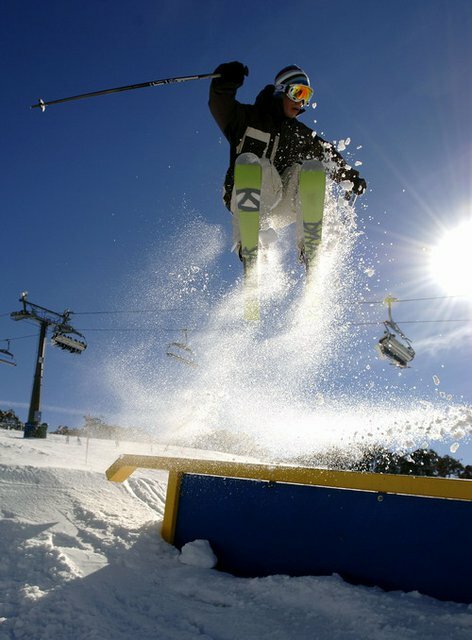 Perisher Blue has formed a new team of elite skiers and snowboarders known as the Fusion Parks &amp; Pipe Team. These dedicated riders can be seen in Perisher Blue’s Fusion Parks and Pipe day-in and day-out honing their skills and offering tips and advice to young freeriders. They will also assist in the ongoing development of new terrain park features by providing instrumental feedback direct from the slopes. “A key element of forming the Team is to help Perisher Blue maintain its reputation as Australia’s leading freeride resort and home to Australia’s biggest and most exciting events,” said Neil Thew PR &amp; Business Development Manager, Perisher Blue. The riders will also have the opportunity to ride for photo shoots with leading photographers and other promotional activities to gain widespread media coverage. The Team members (5 skiers and 4 snowboarders) are a combination of world-class athletes, opinion leaders and up-and-coming stars in the freeriding discipline. These riders travel the world competing in freeride events, so they have a keen insight into cutting edge park designs. They are committed to the development of Fusion Parks and Pipe and their feedback will be invaluable. Tim Myers (Vans Unbound series, Mammoth &amp; June Mountain Halfpipe and Slopestyle - winner; Final round of World Freeskiing Tour, Kirkwood 2005). Davina Williams (2007 World Cup Halfpipe, Apex - 2nd; World Ski Invitational, Whistler - 9th). The Fusion Team members will also be seen competing in a number of the marquee events scheduled in Perisher Blue this winter, including the Garnier Fructis Australian Open and the Boost Mobile SnoSho. For the full event calendar, go to http://www.perisherblue.com.au/winter/events.